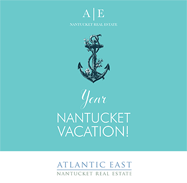 We thought it interesting to take a look at residential sales on Nantucket under $500,000 and, not surprisingly, the door is rapidly closing on that price sector of the market. We evaluated residential properties only (single family residences, condo and cooperative ownership) and does not include those properties restricted to affordable ownership such as Covenant Properties and Sachem’s Path. Pictured above is 13A West Dover Street which was one of only 6 residential properties under $500,000 to sell in 2017. It was a 2 bedroom/1 bath cottage with 675 s.f. located on a 2,000 s.f. on a very busy street at the east edge of Town. In 2010 there were 53 residential sales under $500K, in 2012 there were 66 and last year there were only 24. What this means for people who work and live on Nantucket is that the challenge of finding stable, secure housing is becoming more daunting. The only residential property currently on the market under $500,000 is 89D Washington Street, an attached studio apartment, listed for $299,000 (89 D Washington Street Listing Sheet), listed by Great Point Properties. 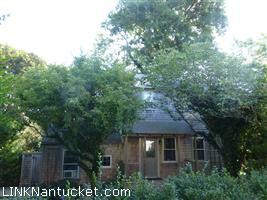 Click on the link below for more information for the history of sales under $500,000 on Nantucket since 2010.